Catherine Hance’s practice covers all areas of real estate transactions, including real property acquisition and disposition, development, leasing, financing, and land use development and zoning, as well as formation of entities for real estate investment and development. Catherine Hance’s practice covers all areas of real estate transactions, including real property acquisition and disposition, development, leasing, financing, and land use development and zoning, as well as the formation of entities for real estate investment and development. Ms. Hance has handled a broad range of acquisition and development transactions, including related land use and surface use issues and the negotiation and preparation of restrictive covenants. Her practice has a particular emphasis on hospitality related transactions, including the representation of clients in the acquisition, financing, development, and disposition of hotel properties throughout the country, as well as the negotiation of management and development agreements and construction contracts. Ms. Hance also represents developers in a variety of residential and commercial projects in the Denver metropolitan and Northern Colorado areas. Ms. Hance has extensive leasing experience, drafting and negotiating leases and subleases for millions of square feet of retail, office, and industrial space, as well as ground leases and build-to-suit agreements. Her leasing practice includes both landlord and tenant representation. She has represented a number of chain retail entities in lease negotiations, as well as a major telecommunications provider in connection with leases of office and data center space and telecommunications licensing agreements. She has also represented several landlords in connection with the lease-up of new retail, office, and medical office building projects. In addition, represents lenders, borrowers, and developers in real property secured finance transactions, including alternative financing structures, such as sale-leaseback transactions, and land banking, as well as bond and tax credit financing transactions. 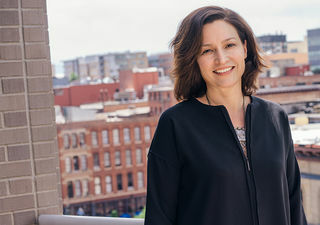 She has written the real property and mortgage codes for a Rocky Mountain region Indian tribe to enable the tribe’s ventures to enter into innovative financing transactions. Ms. Hance is a member of the American, Colorado, Denver, and Colorado Women’s Bar Associations. She is a past chair of the Real Estate Section of the Colorado Bar Association and a member of CREW-Denver. She is currently a board member for both Mile High United Way and the Denver Botanic Gardens. Ms. Hance regularly presents seminars on a variety of real estate topics, including contract negotiation, joint venture structuring, hospitality related issues, alternative financing transactions, and the Colorado Common Interest Ownership Act. She has been selected for inclusion in Colorado Super Lawyers, 5280 magazine, The Best Lawyers in America©, and Chambers USA.